district, on the outskirts of Sarajevo. She went there with volunteers and took photographs. Over 50 dogs are being kept in entirely inhumane conditions, without adequate food or water or veterinary treatment, that numerous dogs are kept in tiny cages, that dead dogs are left amongst living dogs. Dogs have open wounds. Puppies are starving. Furthermore, witnesses said that any non-purebred dog caught by the shelter is killed, and that purebred dogs are stolen from owners and only released to the owner if a ransom is paid. Jelena was told by Slaviša Jovčić, the manager of the shelter and director of Glog, the company that built the shelter, that he was promised 130 000 KM from the local government municipalities for the shelter, but the full amount of the money was never paid by the municipality and therefore Slaviša Jovčić cannot ensure the care of the dogs. What can be done? It will cost 20 euros a day to feed the dogs through the winter. 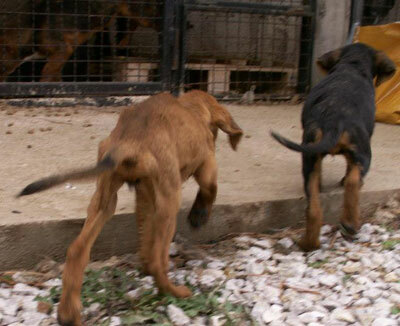 It will cost animal welfare volunteers from Sarajevo 15 euros for each trip they make to check on the dogs and bring food. There is nowhere to release them to other than the streets. 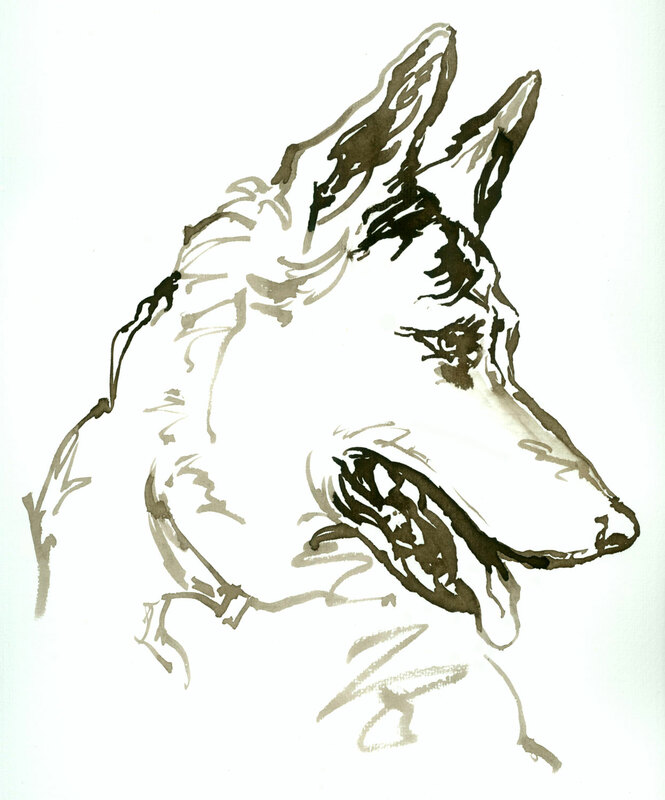 There are no foster homes for them, and ‘pension’ will cost at least 80 euros per dog. and b) bring international attention so the authorities are forced to do something. If you have any contacts with international animal welfare organisations please let them know. Sign the petition linked to below and send letters to the Mayor of the municipality. And please contact the Mayor of the district directly – by mail, email, telephone and fax. The dogs only hope is if we show the Bosnian Government that we know, and that we will not sit by and let these dogs suffer. 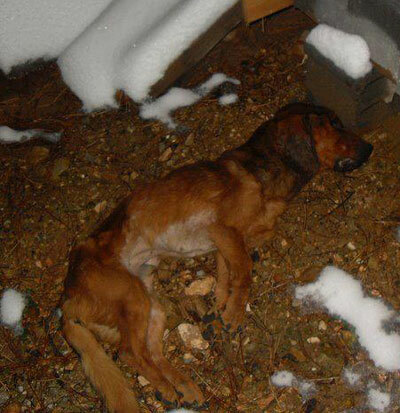 I request that the Government of Bosnian and Herzegovina, the Istocni Stari Grad authorities and municipality mayor Bojo Gašanović in particular, investigate the matter of the Hreša dog shelter. We have reliable reports and eyewitness accounts substantiated by photographs that that over 50 dogs are being kept in inhumane conditions, without adequate food or water or veterinary treatment, that numerous dogs are kept in tiny cages, that dead dogs are left amongst living dogs. Furthermore, there are reports that any non-purebred dog caught by the shelter is killed, and that purebred dogs are stolen from owners and only released to the owner if a ransom is paid. It is understood that Slaviša Jovčić, the manager of the shelter and director of Glog, the company that built the shelter, was promised 130 000 KM from the municipalities for the shelter, but the full amount of the money was never paid by the municipality and therefore Slaviša Jovčić cannot ensure the care of the dogs. We demand that a full investigation is undertaken, that the municipality ensures that the facility is immediately provided with funds to care for these dogs. Modern practices must be implemented, giving food and fresh water and the facility be must kept sanitary and properly staffed with veterinary professionals so the animals are cared for and, ultimately, caring homes need to be found for these dogs. 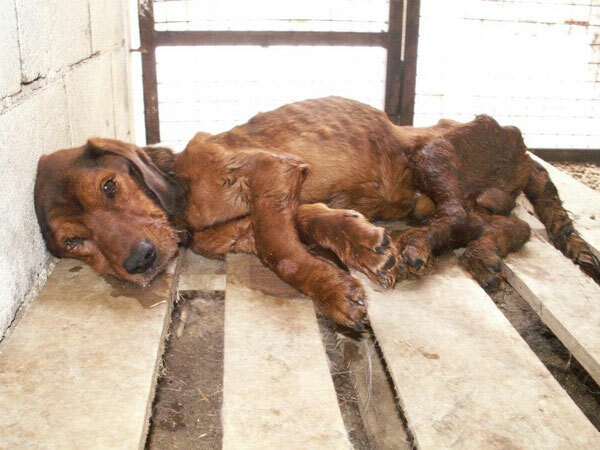 This situation has sparked a global outcry and we look to the Bosnian and Herzegovinan justice system and authorities to conform with EU standards regarding animal welfare, and to apply the law that was passed in Bosnia Herzegovina incorporating these EU standards. Zahtevam da vlada BiH, vlasti Istočnog Starog Grada i posebno gradonačelnik općine Bojo Gašanović istraže pitanje skloništa psa u Hreši. Podrazumiva se da Slaviši Jovčić,u voditelju skloništa i direktoru Glog, drustvo koje je gradilo sklonište, obećali su 130 ,00 KM od općine za sklonište, ali puni iznos novca nikad nije bio plaćen od strane općine i stoga Slaviša Jovčić ne može da osiguri brigu o psima. Tražimo da puna istraga se provodi, da općina osigurava da objektu odmah se osiguraju sredstava takoda se brinu za te pse. Moderni postupci moraju da se provode, hranu i svježa voda moraju da se daje i objekt mora da se čuva u sanitarnom stanju, s osobljem veterinarskih stručnjaka, tako da su životinje zbrinute i, u konačnici, brižni domovi treba da se nadje za ove pse..
Ova situacija je izazvala globalnu negodovanje i očekujemo od i pravosuđe i vlasti skladanje sa standardima EU-a o dobrobiti životinja, te primenje zakona koji je bio donesen u BiH i uključuje ove standarde EU-a. Hvala vam za uzimanje vremena da pročitate ovo pismo. I have started a ChipIn, please donate. This entry was posted in Dogs needing home, Fundraising, Urgent - dogs needing help and tagged Dog shelter, Hreša, Killings by Sandra Jensen. Bookmark the permalink. PLEASE PLEASE POST ONTO FACEBOOK PLEASE WE MUST ALL DONATE AND DO SOMETHING TO HELP PLEASE. THIS IS HEARTBREAKING. I was shocked to receive this message. Tell me something more, please: what kind of shelter is this, a community shelter, or is it private? What can be done, except money? Dear Mrs. R. de Blaey, this shelter was funded by the local government municipality, so it is a state shelter. 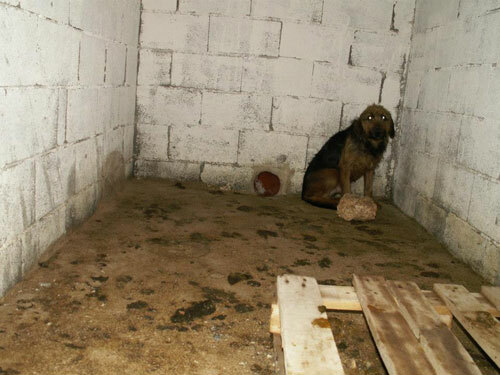 Unfortunately as has happened with many other shelters in Bosnia, funds were either embezzled, or used for other purposes before the shelter was completed. Furthermore, no provision is made for the dogs future in the shelter. I know of a shelter in Sarajevo where 140 dogs were basically left in the hands of volunteers, with no provision for food, heating, veterinary care, spay or neuter programs. What can be done is to write letters to the Mayor of the municipality and to sign the petition and to share the petition and ask other people to write letters to the Mayor. Also, if you have any connections with international animal welfare groups, or journalists, please notify them. I will post up a copy of the letter in Serbo-Croatian so you can copy that and send it of by mail, fax and email – all three preferably. All details are in the posting above. Thank you! Sandra I have read the letters u talk about. Is it any good me signing them all the way over here in Australia though, will it help???? Thank you. I have sent a letter and a donation. But they need more food and money. How is the connection between the helpers and the shelter. What plans do you have to help them? at miaozegovich@gmail.com for more information and details. She was one of the activists on site, and as Jelena is doing so much else Mia is ‘in charge’ of this part. Shocking Shocking, the beautiful dog at the top to have died, shocking , bad people in this world.Will donate some money by paypal. Thanks for raising awareness on the plight of these poor dogs and something urgently needs to be done. Sharon, we’ve pretty much contacted all international welfare organisations and had virtually no response other than to get in touch with a group called Dog’s Trust which has a group in Bosnia. And I’ve had no response from them either…. Sandra – have just finished writing letters/emails on several animal issues and tomorrow will send a letter to the Mayor (Bojo Gasanovic). Are people still being asked to use the sample letter to make their points, in their own words, or has the situation changed (ie deteriorated) since it was discovered that most of the dogs have ‘disappeared’? What is the latest situation at this place? Julie, thank you so very much. The situation has deteriorated in so far as the last time activists went to the shelter, there were no dogs at all, only a large, locked container nearby. Also the manager of the shelter has been threatening the activists. I don’t have specific details, but for certain something very bad is going on there. No one has returned, they don’t feel it’s safe to do so. Yes, please do send a letter to the Mayor asking him for a full investigation. I don’t believe anyone has had a reply from him…. You could also write to the Prosecutor’s office, details below, and a slightly updated letter in English and Serbo-Croatian. Thanks! 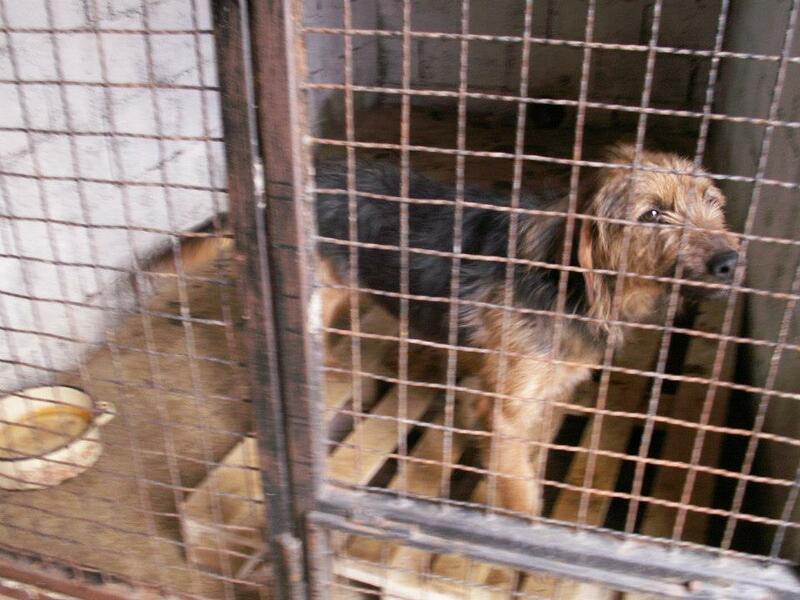 We, the undersigned, request that the Government of Bosnian and Herzegovina, the prosecutors office, the Istocni Stari Grad authorities and municipality mayor Bojo Gašanovic in particular, investigate the matter of the Hreša dog shelter. 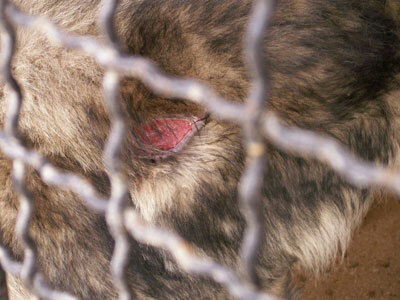 We have reliable reports and eyewitness accounts substantiated by photographs from November 1st that over 50 dogs were being kept in inhumane conditions, without adequate food or water or veterinary treatment, that numerous dogs were kept in tiny cages, that dead dogs were left amongst living dogs, that dogs had open, untended wounds. Furthermore, there were reports that any non-purebred dog caught by the shelter was killed, and that purebred dogs were stolen from owners and only released to the owner if a ransom was paid. Slaviša Jovcic, the director of the shelter and director of Glog, the company that built the shelter, stated that he was promised 130 000 KM from the municipalities for the shelter, but the full amount of the money was never paid by the municipality and therefore Slaviša Jovcic said he could not ensure the care of the dogs. However he promised cooperation with the activists, said he was willing to help them feed and care for the dogs. On November 3rd, a second visit to the shelter was paid by animal welfare activists as they had found homes for 10 dogs. 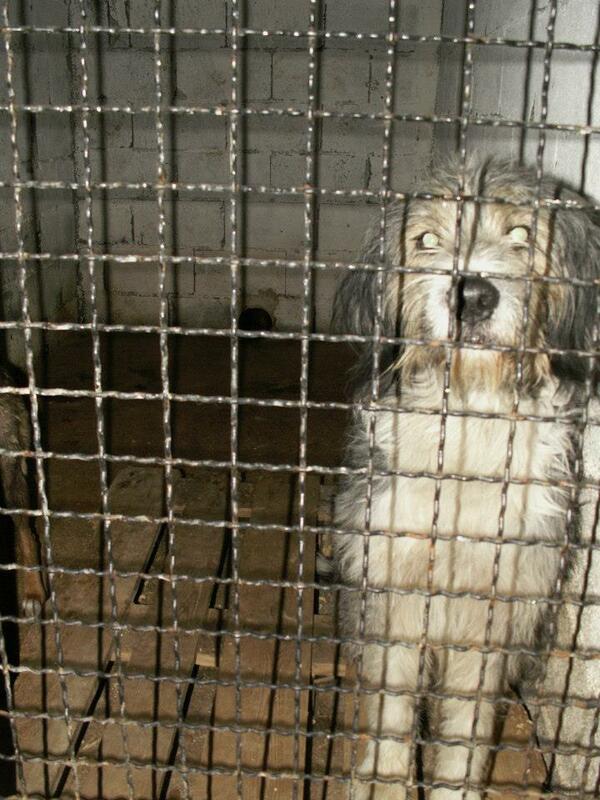 But 90% of the dogs in the shelter had disappeared. Workers from the shelter stated that dogs had been killed on November 2nd and buried in a garbage dump. 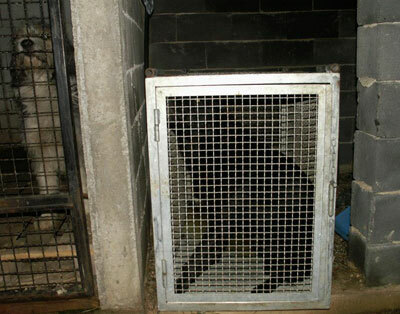 Photographs taken by activists on November 3rd show the shelter as almost entirely empty. Activists left as they feared for their lives, but managed to rescue two adult dogs and five puppies. We demand that a full investigation is undertaken, that any illegal actions be dealt with to the full extent of the law. We will not cease our enquiries until answers are provided. All international animal welfare organisations either have been or will be contacted about this atrocity. We further demand that the municipality ensures that the facility is immediately provided with proper management and funds to care for any remaining dogs. Modern practices must be implemented, giving food and fresh water and the facility be must kept sanitary and properly staffed with veterinary professionals so the animals are cared for and, ultimately, caring homes need to be found for the dogs. Mi, dole potpisani, zahtjevamo od vlade Bosne i Hercegovine, općinske uprave Istocni Stari Grad i osobito predsjednika općine Boje Gašanovića i Okružnog tužilaštva Istočno Sarajevo da se sprovede istraga o dešavanjima u skloništu za napuštene pse Hreša. Posjedujemo pouzdane izvještaje i izjave očevidaca popračene fotografijama od 1-og Novembra o tome da je više od 50 pasa držano u nehumanim uslovima, bez dovoljno vode i hrane te bez veterinarske skrbi. Brojni psi su bili nagurani u male kaveze a desavalo se da su živi i mrtvi psi u jednom kavezu. Primječen je i pas sa otvorenom ozljedom koja nije veterinarski obrađena. Nadalje, dobili smo dojave da se „mješanci“ dovedeni u sklonište ubijaju a rasni psi kradu od vlasnika i vraćaju nakon što vlasnici plate „otkupninu“. Slaviša Jovčić, direktor JKP Glog i upravitelj skloništa Hreša je izjavio da mu je općina trebala isplatiti 130.000 KM za troškove skloništa ali največi dio sredstava nikada nije uplaćen. Iy tog rayloga, kako tvrdi Slaviša Jovčić, oni nisu u stanju da vode neophodnu brigu o psima. Ipak, obecao je suradnju sa aktivistima tej je rekao da bi volio da mu se pomogne sa hranjenjem i brigom o psima. 3. Novembra aktivisti su otišli u drugu posjetu pošto su pronašli domove za 10 pasa ali 90% pasa koji su tu bili prethodno su nestali! Radnik je izjavio kako su pobijeni i ukopani na lokalnoj deponiji otpada. Fotografije napravljene na ovaj dan svjedoče o tome da je prihvatilište bilo gotovo potpuno prazno. 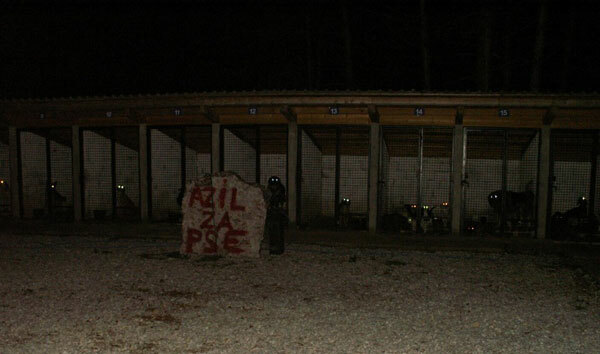 Aktivisti su otišli jer su se uplašili za svoju sigurnost ali su uspjeli da spase 2 odrasla psa i sedam štenaca. Zahtjevamo da se sprovede opsežna istraga i da se sprovedu zakonske obaveze u skladu sa zakonom o Zaštiti i dobrobiti životinja. Mi nećemo obustaviti ovaj proces dok se ne pruže svi relevantni odgovori. Sve međunarodne organizacije za zaštitu i dobrobit životinja su obavještene ili će uskoro biti obavještene o strahotama koje se dešavaju u ovom „prihvatilištu“. Dalje, zahtjevamo da općina pod hitno osigura sredstva za prikladnu brigu o svim preostalim životinjama u skloništu. Mora se uvesti moderna praksa upravljanja skloništem, osigurati hrana i voda te sanitarni uslovi, obezbjediti osoblje za brigu o psima a osobito osigurati veterinarski nadzor za vrijeme boravka pasa u skloništu. Takodjer je potrebno žiti napor da se nađu novi vlasnici za pse u mjeri koliko je to moguće. Cijela ova situacija je zainteresirala široku javnost i očekujemo da se pravni sistem BiH kao i vlast povinuju EU standardima u svezi zaštite i dobrobiti životinja te da primjene već postojeće zakone koji su potpuno usklađeni sa EU normama. Hvala što ste izdvojili vrijeme da pročitate ovo pismo. Ich habe Peta daruber geschrieben,sie haben “viel zu tun”pfui.Ich wünsche das diese Leute in Bosnien such so leiden die die Tiere hungern lassen. Sandra, I support DogsTrust here in the UK and have been on their website, followed the links to their Bosnian office and will write to their campaign manager (Anel Becirovic) to say I find it unbelievable that the DT are not doing something to help Jelena and her friends regarding the dogs at the Hresa shelter. If anyone else wishes to contact them: office@dogstrust.ba and the address is: Dogs Trust Bosnia, Gorica 61, Sarajevo 71000, BH If I receive any reply from my letters to the Mayor, and the Prosecutor’s office, I will let you know (although any such letters are often just ignored). If the DT Bosnian office is bombarded with letters/emails asking them to take action regarding the Hresa shelter, then maybe they will do something. We have to keep trying. I also contacted Dog Trust and received NO ANSWER! Julie, Thank you so much. I need to do a new blog:- Dogs Trust in Bosnia have connected myself and Animal-Kind International and just today we received the information that the State Veterinary Office informed Dogs Trust in Bosnia yesterday that the the vet inspectorate responsible for Hreša (that of RS) advised them that the shelter has been closed down by the local public utility company, even before the inspectorate had a chance to act, in an apparent effort to avoid possible legal sanctions. Because there have been no prior inspection visits and because the shelter closed down before they could act now, the inspectorate couldn’t provide any more details. However, I think it is still helpful if you and others write to them, they need to know not to let up on this one. Not because it is particularly horrific (sadly not) but because some momentum has started, and the more international eyes on Hreša, the more likely something will be done, and then so too, perhaps, the other shelters and general situation in Bosnia. Well, that is a rather large hope but we have to start somewhere. Then, to who should we contact now? With so many names and organizations I’m lost. i contacted to a few already. And what exactly should we say? Obviosly tell them about this but as you said we should use the momentum to ask for more. 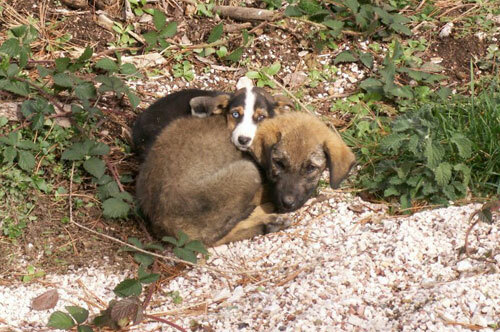 The situation in Bosnia is horrible for these poor creatures. Patricia, I think it’s a good idea to write to Dogs Trust, both in Bosnia and the UK, letting them know you know about the situation in Hreša and that they are monitoring it, and that you hope they will pursue investigations into ALL shelters in Bosnia. (I will be making a new post soon about the general situation with state shelters in Bosnia), and ask them how you can help, if there are any MPs or UN ministers they suggest you write to. (let me know if you get any suggestions). The more such groups know that people are watching, that people want to see results, that they are willing to help, the more likely something will be done. We need to close that shelther or change the shelter to an adoption point for animals with good care! “TODO VERDADEIRO FILHO E GUERREIRO DA LUZ” CHORA QUANDO ENCONTRA AS VERDADES QUE ELE SEMPRE QUIZ QUE AS ACOMPANHASSE, MAS NEM SEMPRE A TEVE, POR FALTA DE OPORTUNIDADES EM PROCURAR NOS LUGARES CERTOS, POIS SÓ DEPOIS DE LAPIDADO PELA VIDA, É QUE SABE O QUE QUER, EVITANDO NOVOS ERROS, POIS SUA FINALIDADE É EXPANDIR SUA LUZ ATÉ TORNAR-SE UM SÓ COM O “TODO QUE ESTÁ EM TUDO”. EMOCIONAR-SE É COTIDIANO PARA OS FILHOS DA LUZ, POIS AS LÁGRIMAS NÃO SÃO EXCEÇÃO, MAS UMA CONSTANTE DO CORAÇÃO DE UM GUERREIRO DA LUZ, EM BUSCA DE JUSTIÇA DIVINA, EXPRESSANDO-SE ATRAVES DELAS, QUE DIZEM PELOS OLHOS O QUE A BOCA NÃO PODE TRADUZIR DA MENTE LIMITADA E FRÁGIL DOS NOSSOS CORPOS, DESEJANDO AMÔR E JUSTIÇA PARA TUDO E TODOS QUE SÃO MERECEDORES DE CONTINUAR VIVENDO ENTRE AS VÁRIAS FORMAS DE VIDAS DO ALTÍSSIMO CRIADOR UNIVERSAL ENTRE NÓS !!! GOSTARIA DE CONCLAMAR A TODOS O FILHOS E GUERREIROS DA LUZ, QUE ESTÃO EMPENHADOS VERDADEIRAMENTE EM SALVAR OS ANIMAIS COM GARRA DE SUA PRÓPIA NATUREZA DE PROTETORES DA LUZ, QUE SE UNISSEM VEEMENTEMENTE, DE TODAS AS FORMAS POSSÍVEIS, POIS AS QUE NÃO SÃO POSSÍVEIS, O ALTÍSSIMO, FARÁ SER POSSIVEL, POIS, CONFIANDO NO “ADONY”, ALTÍSSIMO DIVINO SAGRADO ENGENHEIRO ARQUITETO CRIADOR UNIVERSAL ETERNO DE DIAS, PAI CELESTIAL DO AMÔR E JUSTIÇA PARA SEMPRE, TUDO ELE FARÁ AOS DE BOA VONTADE EM REALIZAR SEUS DESEJOS QUE SÃO JUSTIÇA DIVINA EM NOSSAS MÃOS, POIS SOMOS EXTENÇÕES DO TODO PODEROSO AQUI EM BAIXO, O “TODO QUE ESTÁ EM TUDO”, EM SUAS VÁRIAS FORMAS DE VIDA ENTRE NÓS, PARA QUE POSSAMOS DIVULGAR AS “ATROCIDADES MAQUIAVÉLICAS E DIABOLICAMENTE MONSTRUOSAS”, DOS “MAUS” ASIÁTICOS, E OUTROS POVOS “TREVOSOS” COM NOSSOS AMADOS ANIMAIS DE ESTIMAÇÃO, CUJOS CRUELDADES SÃO CONHECIDAS NO MUNDO TODO, COMO OS “DESTRUIDORES DE VIDAS HUMANAS INOCENTES”, COMO O CONSUMO DE FETOS DE CRIANÇAS AINDA VIVAS, QUE ELES OBRIGAM MULHRES A ABORTAREM, PARA DEVORÁ-LOS COM SATISFAÇÕES VORAZES CRUELMENTE DIABOLICAS E CANIBALMENTE PRAZEIROSAS, DE CRIANÇAS QUE PODERIAM ESTAR VIVAS ENTRE SEU PRÓPIO POVO. VEJAM PÁGINA DO FACEBOOK = boicote a china/coréia, E NO YOUTUBE = matrato a animais, E NÃO PASSEM MAL ANTES DE ASSISTIREM ATÉ O FINAL DAS CRUELDADES DESSES “MAUS POVOS DAS TREVAS”, “DEMÔNIOS ENCARNADOS ENTRE NÓS !!! DIVULGUEMOS INCESANTEMENTE, TUDO QUE PUDER-MOS CONTRA AS ATROCIDADES MONSTUOSAS, DOS “MAUS POVOS ASIÁTICOS”, QUE FAZEM COM NOSSOS AMADOS ANIMAIS DE ESTIMAÇAO, AS MAIS ALTAS PERVERSIDADES, NOS MAIS ALTOS GRAUS DE CRUELDADES, EM TODA A HISTÓRIA DA HUANIDADE ATÉ OS DIAS DE HOJE. NÃO DESISTAMOS COM OS FERIMENTOS QUE OBTIVER-MOS NAS BATALHAS, POIS PARA SE GANHAR UMA GUERRA FINAL, É PRECISO PASSAR POR BATALHAS, QUE DEIXAM CICRATIZES QUE MOSTRAM A TODOS QUE FOMOS SOLDADOS DE UMA DISPUTA SANTA, GERANDO AJUDA AOS NECESSITADOS DE SALVAÇÃO DOS CATIVEIROS DE SOFRIMENTOS DILACERANTES E ANGUSTIANTES, QUE PASSAM NOSSOS MELHORES AMIGOS DEPOIS DE DEUS !!! SE NÃO FIZER-MOS PELOS QUE NOS AMAM E PRECISAM DE NOSSO AMÔR, QUEM FARÁ ENTÃO ??? AJUDEMOS UNS AOS OUTROS, UNINDO-NOS, NESSA BATALHA QUE NÃO TEM MAIS VOLTA, OU GANHAMOS OU NOSSOS ANIMAIS CONTINUARÃO SOFRENDO CRUELMENTE NAS MÃOS DESSE “MAUS” POVOS TREVOSOS QUE DESTROEM SEM PIEDADE VIDAS HUMANAS DO BEM, QUE DEVERIAM EXISTIREM ENTRE NÓS, PARA NOSSAS ALEGRIAS E PAZ DE ESPÍRITO CONVIVENDO COM OS DESUMANOS PARA ENSINAREM A SEREM HUMANOS, ATRAVÉS DE SEUS SENTIMENTOS DE AMÕR, RESPEITO, GRATIDÃO E FIDELIDADE DE SUAS PRÓPIAS NATUREZAS DO BEM, FEITOS PARA NOS COMPLETAREM E NOS ENSINAREM O VERDADEIRO SENTIDO DA VIDA, QUE É AMAR-MOS VERDADEIRAMENTE UNS AOS OUTROS PARA QU POSSAMOS PERMANECER-MOS NA LUZ !!! ENQUANTO EXISTIR UM IRMÃO SOFRENDO, NÃO EXISTIRÁ MOTIVO PARA SER-MOS FELIZES REALMENTE, POIS OS VERDADEIROS FILHOS DA LUZ, CONSEGUEM VIVER PELA FÉ QUE SEM AS OBRAS É MORTA, EXERCENDO SEUS PAPEIS DE FILHOS E GUERREIROS DA LUZ PRATICANDO A JUSTIÇA DO BEM, DO BOM E DO BELO SEMPRE !!! AMEM, RESPEITEM E FAÇAM RESPEITAREM A DIVINA CRIAÇÃO DOS ANIMAIS DO “DIVINO CRIADOR” E SUAS VÁRIAS FORMAS DE VIDA ENTRE NÓS, RECOLHENDO-OS DAS RUAS FRIAS, SUJAS E MORTAIS, OS NOSSOS MELHORES AMIGOS DEPOIS DO “ALTÍSSIMO”, POR SEUS SENTIMENTOS DE AMÔR INCONDICIONAL POR TODOS EM NOME DE NOSSA PARTE COM O “PAI ALTÍSSIMO DO AMÔR E JUSTIÇA PARA SEMPRE !!! OBRIGADO A TODOS QUE QUEIRAM REPATIREM COM OS IRMÃOS DA LUZ E NA LUZ, DORES, ANGUSTIAS E AFLIÇÕES PELO SOFRIMENTOS DOS NOSSOS AMADOS ANIMAIS DO MUNDO TODO, NOSSOS MELHORES AMIGOS DEPOIS DO CRIADOR UNIVERSAL !!! QUE NOSSAS LÁGRIMAS ABENÇOE A TODOS QUE AJUDAM A ENXUGA-LAS DIARIAMENTE COM SUAS ATITUDES DE AMÔR E JUSTIÇA COM OS NOSSOS AMADOS ANIMAIS QUE TANTO NOS AMAM E DÃO A SUAS VIDAS POR NÓS !!! Ao alimentar-se na maneira prescrita pela Torá, e com a intenção apropriada, diz o Talmud, a mesa da pessoa se torna um altar virtual a serviço de D’us. Ao mesmo tempo, a Torá enfatiza a compaixão pelos animais. De fato, os Patriarcas são carinhosamente conhecidos como os “Sete Pastores”, e o Talmud descreve como D’us escolheu Moshê para liderar os judeus baseado em seu carinhoso cuidado pelos rebanhos de ovelhas. 1.É proibido causar sofrimento aos animais – tzaar ba’alei chaim. (Talmud – Baba Metzia 32b, baseado em Shemot 23:5). 6.Caçar animais por esporte é visto com séria desaprovação pelos nossos Sábios (Talmud – Avodá Zara 18b; Noda BeYehuda 2-YD 10). 7.O que mata um boi é como quem mata um homem, e quem sacrifica um cordeiro, é como quem degola um cão, esses escolhem seus própios caminhos, tem prazeres nessas abominações, e trarei sobre eles o pavor !!! (YeshaYahoo – Isaias 66:3 – Isaias). “EVERY TRUE SON AND WARRIOR OF LIGHT” CRIES WHEN IT FINDS THE TRUTHS THAT IT ALWAYS QUIZ THAT ACCOMPANY, BUT NOT ALWAYS HAD, BY LACK OF OPPORTUNITIES TO LOOK IN THE RIGHT PLACES, BECAUSE ONLY AFTER CUT FOR LIFE, IS TO KNOW WHAT YOU WANT TO AVOID NEW MISTAKES, BECAUSE ITS PURPOSE IS TO EXPAND ITS LIGHT TO BECOME ONE WITH THE “ALL THAT ARE IN EVERYTHING”.THRILL YOURSELF IS DAILY LIFE FOR THE CHILDREN OF THE LIGHT, BECAUSE THE TEARS ARE NOT EXCEPTION, BUT A CONSTANT FROM THE HEART OF A WARRIOR OF LIGHT, IN SEARCH OF DIVINE JUSTICE, EXPRESSING YOURSELF THROUGH THEM, THEY SAY THROUGH THE EYES WHAT THE MOUTH CAN NOT TRANSLATE THE LIMITED MIND AND FRAGILE OF OUR BODIES, WISHING LOVE AND JUSTICE FOR ALL AND EVERYONE WHO ARE DESERVING TO CONTINUE LIVING AMONG THE VARIOUS FORMS OF LIVES OF THE ALMIGHTY CREATOR UNIVERSAL AMONG US!I WOULD LIKE TO URGE ALL THE SONS AND WARRIORS OF LIGHT WHO ARE TRULY COMMITTED TO SAVE THE ANIMALS WITH ITS OWN CLAW NATURE OF LIGHT GUARDS, WHO STRONGLY URGED, IN EVERY POSSIBLE WAY, BECAUSE THOSE ARE NOT POSSIBLE, THE MOST HIGH, WILL BE POSSIBLE, BECAUSE, RELYING ON “ADONY” DIVINE SACRED ENGINEER ARCHITECT, MOST HIGH CREATOR UNIVERSAL ETERNAL OF DAYSHEAVENLY FATHER, OF LOVE AND JUSTICE FOREVER, EVERYTHING HE DOES TO THOSE OF GOOD WILL TO ACHIEVE YOUR DESIRES THAT ARE DIVINE JUSTICE IN OUR HANDS BECAUSE WE ARE EXTENSIONS OF THE ALMIGHTY DOWN HERE, “ALL OF WHICH ARE IN EVERYTHING”, IN ITS VARIOUS FORMS OF LIFE AMONG US, SO WE CAN PUBLICIZE THE “MACHIAVELLIAN AND DEVILISHLY MONSTROUS ATROCITIES”, OF “BAD” ASIANS, AND OTHER PEOPLE “STUCK” WITH OUR BELOVED PETS, WHOSE CRUELTIES ARE KNOWN WORLDWIDE AS THE “DESTROYERS OF INNOCENT HUMAN LIVES,” AS THE CONSUMPTION OF FERNS OF CHILDREN STILL ALIVE, THAT THEY COMPEL WOMEN TO ABORTAREM, TO DEVOUR THEM WITH RAVENOUS CRUELLY DIABOLICAS AND SATISFACTIONS CANIBALMENTE PLEASURES, OF CHILDREN WHO COULD BE ALIVE AMONG HIS OWN PEOPLE.SEE the FACEBOOK PAGE = boycott china/Korea, and on YOUTUBE = matrato the animals, not PASS BADLY BEFORE ATTENDING until the end of the CRUELTIES of THOSE “bad PEOPLE of DARKNESS”, “DEVILS INCARNATE AMONGST US!DIVULGE INCESANTEMENTE, EVERYTHING WE CAN AGAINST THE ATROCITIES MONSTUOSAS, OF “BAD ASIAN PEOPLE”, THAT MAKES OUR BELOVED ANIMALS OF CRICKET, THE HIGHEST PERVERSITIES, THE HIGHEST DEGREES OF CRUELTIES, IN THE ENTIRE HISTORY OF HUANIDADE TO THIS DAY.WE GIVE UP NOT WITH THE INJURIES THAT WE OBTAINED IN THE BATTLES, BECAUSE TO WIN A FINAL WAR, ONE MUST GO THROUGH BATTLES, LEAVING CICRATIZES THAT SHOW EVERYONE THAT WE WERE SOLDIERS OF A SANTA, HELP THOSE IN NEED OF SALVATION FROM SUFFERING DISTRESSING AND HARROWING CAPTIVITY, WHO ARE OUR BEST FRIENDS AFTER GOD!IF WE DON’T DO THOSE WHO LOVE US AND NEED OUR LOVE, WHO WILL THEN?? ?LET US HELP EACH OTHER BY JOINING US IN THIS BATTLE THAT HAS NO BACK, OR WIN OR OUR ANIMALS WILL CONTINUE SUFFERING CRUELLY AT THE HANDS OF THIS “BAD” PEOPLE STUCK THAT DESTROY HUMAN LIVES WITHOUT MERCY AS WELL, WHICH SHOULD EXIST BETWEEN US, FOR OUR JOYS AND PEACE OF MIND LIVING WITH THE INHUMAN TO TEACH THE HUMAN BEING, THROUGH HER FEELINGS OF MOTHER’S LOVE, RESPECT, GRATITUDE AND LOYALTY OF THEIR OWN NATURES AS WELL, MADE TO COMPLETE AND TEACH THE REAL MEANING OF LIFE, THAT WE TRULY LOVE EACH OTHER FOR QU CAN STAY-MOS IN THE LIGHT!WHILE THERE IS A BROTHER SUFFERING, THERE IS REASON TO BE REALLY HAPPY, BECAUSE WE ARE THE TRUE SONS AND DAUGHTERS OF THE LIGHT, MANAGE TO LIVE BY FAITH WITHOUT WORKS IS DEAD, EXERCISING HER ROLE OF SONS AND WARRIORS OF LIGHT PRACTICING RIGHTEOUSNESS, THE GOOD AND THE BEAUTIFUL EVER!! !LOVE, RESPECT AND MAKE RESPECTING THE DIVINE CREATION OF THE ANIMALS IN THE “DIVINE CREATOR” AND ITS VARIOUS FORMS OF LIFE AMONG US, COLLECTING THEM FROM COLD, DIRTY AND DEADLY STREETS, OUR BEST FRIENDS AFTER THE “MOST HIGH”, BY THEIR FEELINGS OF UNCONDITIONAL LOVE FOR ALL IN THE NAME OF OUR PARTY WITH THE MOST HIGH FATHER “OF LOVE AND JUSTICE FOREVER!! !THANKS TO ALL WHO WANT TO REPATIREM WITH THE BROTHERS OF LIGHT AND LIGHT, PAIN, ANGUISH AND SUFFERINGS BY THE SUFFERINGS OF OUR BELOVED ANIMALS FROM AROUND THE WORLD, OUR BEST FRIENDS AFTER THE UNIVERSAL CREATOR!! !THAT OUR TEARS BLESS ALL WHO HELP WIPES THEM DAILY WITH THEIR ATTITUDE OF LOVE AND JUSTICE WITH OUR BELOVED ANIMALS THAT LOVE US AND GIVE THEIR LIVES FOR US!!! we are in 2013,it’s e very very bad thing that you make to our best friend (dogs) you have to change your abitude to do it ,now you have to close that shelter or you are a” no civilization” country !Quikly,close it ! è impossibile, assurdo, inimmaginabile che esistano cose di questo genere…. Uccidere creature è un crimine! Avete sentito parlare di STERILIZZAZIONE!?????????? non esiste senso di CIVILTA’, decenza, UMANITA’, INTELLETTO in voi… non esiste! quello che fate è INNATURALE, DECEREBRATO, assurdo……………..
Siete dei bastardi i vostri figli devono fare questa fine non quei poveri animali!! fesi cosa ci si può aspettare dall’essere umano! se lo fate agli animali sapreste farlo anche ad un essere umano. e alla popolazione che mi guarda? ditemi come possiamo aiutare a mettere fine questo orrore ? You can help by signing the petition and by writing to United Nations members of parliament, thank you! cosa vi hanno fatto queste povere creature ?? basta!! possibile che non esiste piu umanità a questo mondo malato ?? Ovo je velika sramota za Bosnu!!!! Strasno i jos jedan dokaz da su ljudi najgore zvijeri!! Kako ih samo Boga nije strah??!!! They deserved to live as much as we are!! !